Four Seasons Hotel Bengaluru will launch in the Indian tech capital later in 2018. It’s opening with the help and consultation of Indian property developers Embassy ONE. Bengaluru – India’s fastest-growing city – is a burgeoning destination for international travelers. The city largely suits business travel, although the surrounding area has great natural landmarks too. 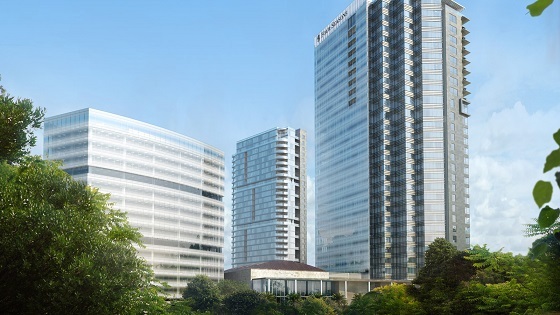 The city’s Embassy ONE building, already home to office space and luxury shops, will soon house private accommodation and Four Seasons’ second luxury hotel in India (the first is in Mumbai). Debuting in summer 2018 (no fixed date yet), Four Seasons Hotel Bengaluru at Embassy ONE, and Four Seasons Private Residences Bengaluru at Embassy ONE will be a new major pull for the city. HKS Architects and Studio u+a are behind the design of the build, and interior designers Yabu Pushelburgh are on board for the look. George Yabu and Glenn Pushelburgh have been working together since the early 1970s. Their experimental design aims to provoke emotional responses, and between them, the duo have designed much-lauded hotels including Four Seasons New York Downtown and Toronto, Waldorf Astoria Beijing, London Edition and St Regis Mexico. There will be three buildings in total. The South Tower will house the hotel and part of the residences, The North Tower will be entirely private property, and a third reserved for retail and office space. 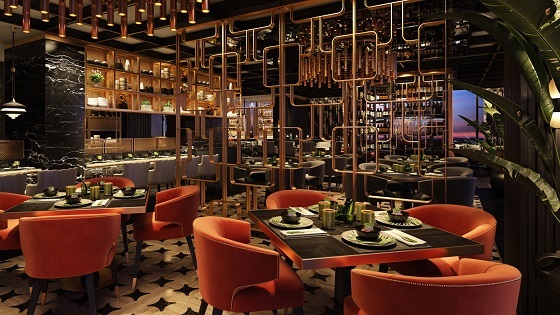 LW Design Group are behind the look and feel of the restaurants. Three eateries will hold more than 600 covers, and there’ll be 24 hour dining, and an Asian-themed brasserie. A spa, salon, fitness centre and an innovative ‘outdoor oasis’ will also feature, including butterfly garden and waterfall. Bengaluru is India’s tech hub. Although, national parks and ancient monuments nearby mean there is a genuine tourist pull to the city too. The hotel, though, will likely encourage guests to stay in and enjoy the luxurious setting. Four Seasons Hotels and Resorts are keeping their finger on the pulse as they enter new and emerging cities. India’s Bengaluru is tipped as a hotly tipped as India’s new destination for work and leisure. The luxury hospitality group have partnered with Embassy Group – India’s leading property developers – to launch this expansive new property.